I don't typically wear necklace and when I do it's either pearls or simple ones. But lately I have been wanting to add some statement pieces to my looks. So today am sharing some statement necklaces that I currently loving and want to add at least one if not all to my collection. 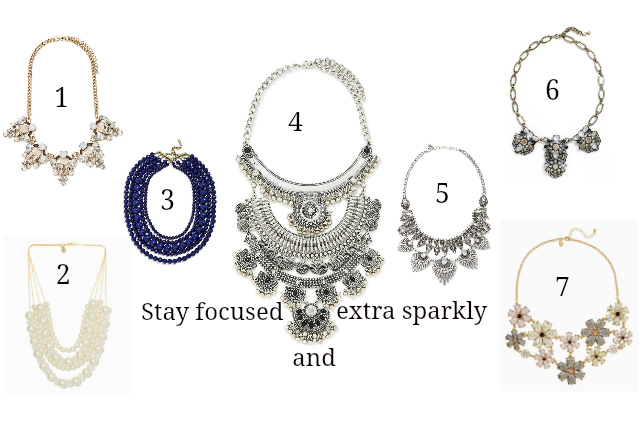 I leaning toward getting number 4 right now because I love the boho look to it plus it only $22 dollars! Fun fab picks! Thanks so much for linking up with Fun Fashion Friday & hope you had a fab weekend!